Tonight at 9 PM, Discovery channel is going to show Megalodon: The New Evidence, the sequel to last year's mockumentary of the same name. At this point, is it really necessary to rehash what the scientific and conservation community thinks about Megalodon? It inspired #FakeSharkWeekFacts! Also tonight, Sylvia Earle's new film about Hope Spots, Mission Blue, is going to premier on Netflix. We encourage you to join us in skipping Megalodon and instead, please turn to Netflix and watch Sylvia's movie about her lifetime of science and conservation. We'll start livetweeting at 9 PM EST (that's 6 PM for all of you living in California and past your bedtime for everyone living in Europe). We’re tremendously excited to announce that the Mission Blue Film is going live on Netflix today! While Dr. Earle has been spreading her message of hope for years, we believe that in the coming days this message — our Mission Blue — is going to leap to the next level of awareness in the global public consciousness. With the documentary, directed by Robert Nixon and Fisher Stevens available in 40+ countries, we anticipate that Dr. Earle’s simple message of ocean conservation, of respect for our planet and what sustains us, will reverberate through the homes and hearts of Netflix’s global audience. We hope that a public awakening to the dire state of our ocean — and what we can do to save it — will propel personal decisions and public policy that favors the future of our ocean and ourselves. The Mission Blue Film offers a 360-view not only of what’s happened to our oceans over the last half decade, but also of Dr. Sylvia Earle's quest to raise awareness in the global public about ocean decline. As we all know, it’s not Dr. Earle’s style to leave her supporters despondent and hopeless about the future of the ocean. Indeed, the film reaffirms the straightforward approach of creating a global network of marine protected areas — Hopespots! — large enough to save the ocean, Earth’s blue heart. So get to a television or computer today and watch the Mission Blue Film! Afterwards, make sure to engage us on social media using the hashtags #missionblue and #hopespots or on our website and let us know what you think. When I was a kid, my brothers and I would actually turn off playing Metroid and Super Mario Bros. 3 to watch Shark Week. I don't remember the shows being about fake sharks or attacks,either; they were about science. They are part of the reason, but not the only reason, why I decided to focus mostly on science in high school, a decision which has followed me through my entire career (and part of the reason my writing is so terrible - I haven't taken an English or writing class since I was 17). Many people have similar stories. And while many of the scientists upset over Shark Week's programming have chosen outrage, I prefer ridicule. #FakeSharkWeekFacts has really taken off on Twitter. Topsy says that there have been more than 1000 #FakeSharkWeekFacts tweets in the last week. The most influential tweet comes from a planetary astronomer at UC Berkeley (wow!). 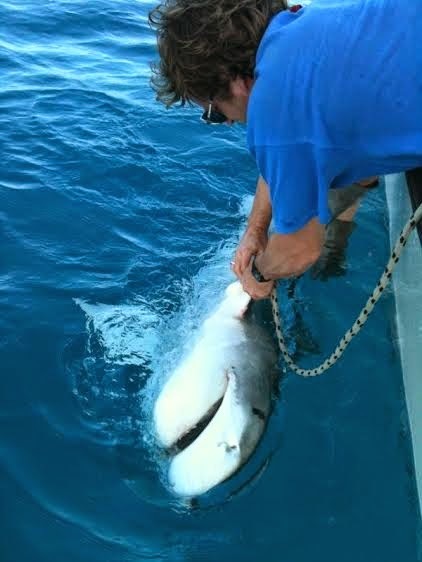 The Improper: Discovery's Shark Week Getting Torn To Shreds by... Scientists? 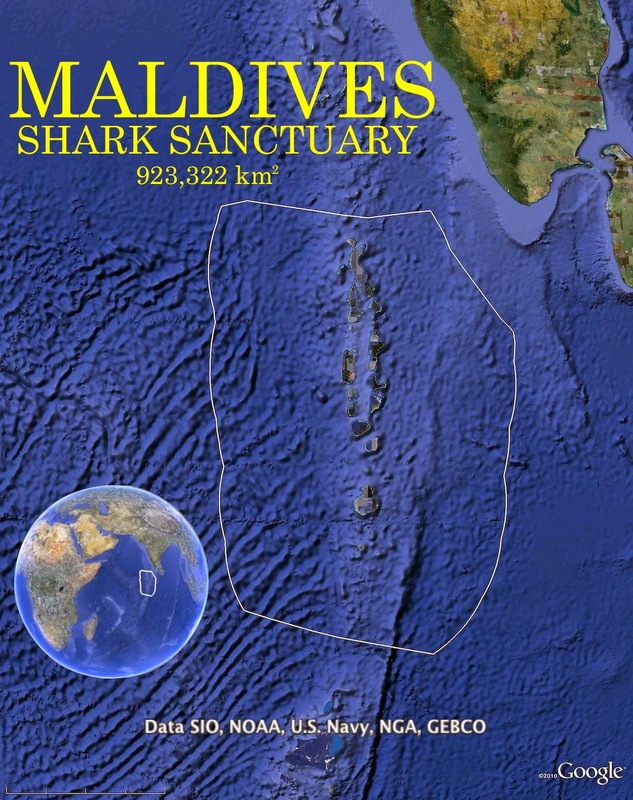 "The Republic of Maldives hosts one of few known year round aggregation sites for whale sharks," said James Hancock co-author and a director of MWSRP. "We have seen that they have become a major tourism draw to South Ari atoll, but we didn't expect these big numbers." The South Ari atoll Marine Protected Area (S.A.MPA) alone attracted 77,000 tourists in 2013. This equates to $9.4million USD in direct income to operators who offer the chance to glimpse this famous 'bucket list' animal. 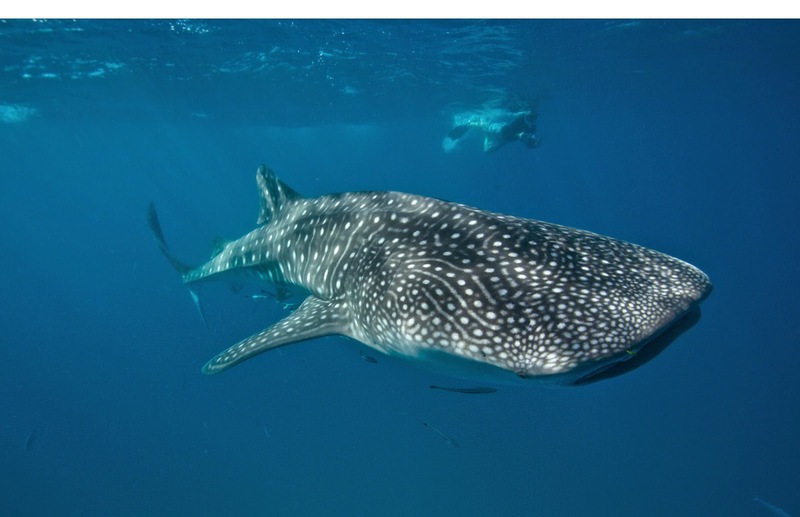 "When we include the whale sharks from South Ari Atoll, we were able to adjust previous estimates of annual 'shark related' tourism expenditure in the Maldives from $12 million USD to nearly $20 million" said Fernando. "There are still many mysteries about these whale sharks -- we don't know why they come here or for how long they stay -- but bringing the money issue to the table is an important step towards ensuring their conservation." Last Year during Shark Week we asked our Twitter followers to tweet their favorite fake Shark Week facts and to tag them with #FakeSharkWeekFacts. We did it again this year. And the Twitterverse has not disappointed. This one if my favorite. You can find more #FakeSharkWeekFacts here. But are we being played by Discovery Channel? Nearly every scientist and conservation organization is having a hissy fit over Shark Week's mockumentaries, especially the opening night's Shark of Darkness: Submarine Returns and Friday's Megalodon sequel. Mike Neumann, the world's most famous shark blogger and the proprietor of the world's most famous shark dive thinks Discovery creates the controversy on purpose. It doesn't matter what we say about them, as long as we are talking. 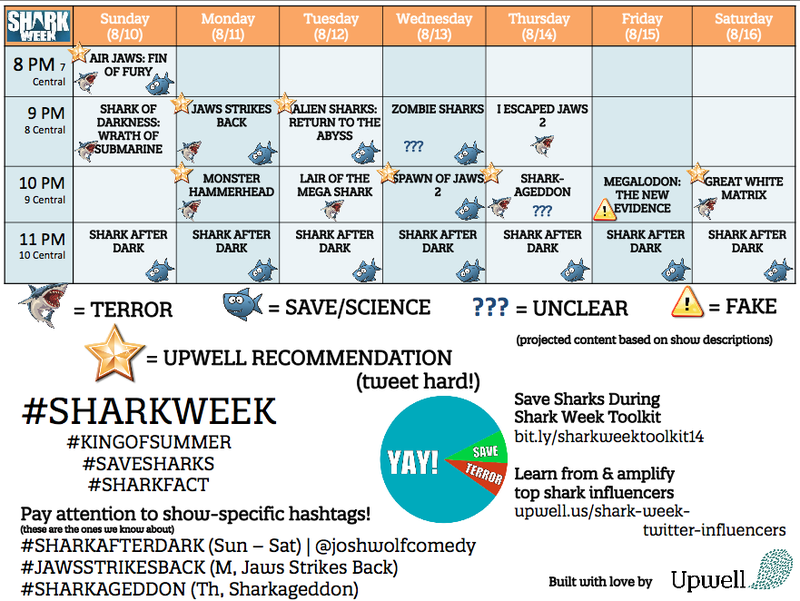 Kudos to Upwell for creating this handy Shark Week chart as part of the Official Upwell Toolkit for Saving Sharks During Shark Week 2014. We've decided to enhance this information with descriptions of each of this year's show from Discovery. Each night at 11 PM, Shark Week’s late-night live talk show, Shark After Dark, will return. Host Josh Wolf will lead viewers through an hour-long celebration of all things shark-related, including celebrity guests and shark experts. The talk show will give viewers the opportunity to interact live on-air every night with tweets, questions to celebrity guests, and more. Air Jaws programming has pushed and expanded our understanding of great white sharks and has become one of the iconic SHARK WEEK programs. In Air Jaws: Fins of Fury Natural History producer Jeff Kurr and his team return using incredible new cameras and high tech underwater gadgetry to track down the missing “mega-shark” named Colossus. Shark of Darkness: Submarine Returns explores the legend of “Submarine,” an enormous great white shark off the coast of South Africa. 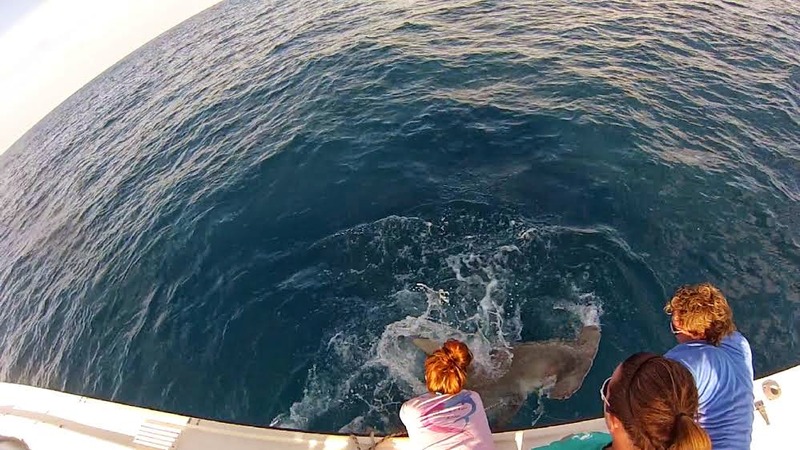 This 30-foot shark is said to be the largest great white shark of all time. Locals believe that this shark is responsible for countless fatal attacks, but its existence has never been proven. This documentary explores the evidence and asks the question: can Submarine exist? In Jaws Strikes Back, marine biologist Greg Skomal and the REMUS* SharkCam team travel to the remote Pacific island of Guadalupe to film the hunting behavior of the largest great white sharks on earth. Lair of the Mega Shark follows famed shark experts Jeff Kerr and Andy Casagrande head to New Zealand on a life-or-death mission to investigate the sightings of a 20 foot Great White that resembles the legend of a giant great white shark Maoris call the “lord of the sharks." Jeff and Andy will risk everything to track down this Mega Shark believed to be lurking in the shadows of the New Zealand coast line. 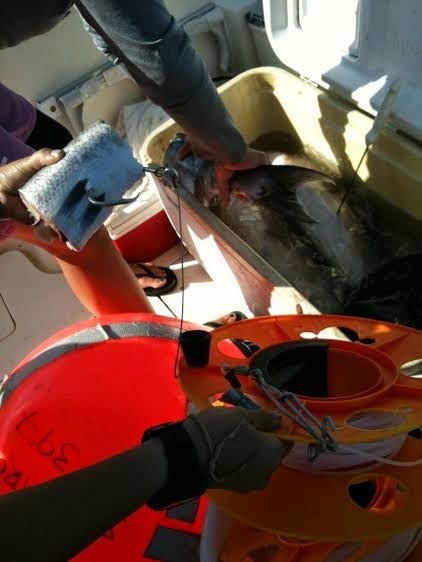 The recent fine meted out to a US flagged purse seiner was praised by a major United States conservation organization. Marshall Islands Marine Resources Authority officials confirmed last week that the US vessel Sea Bounty has paid $125,000 rather than go to court. 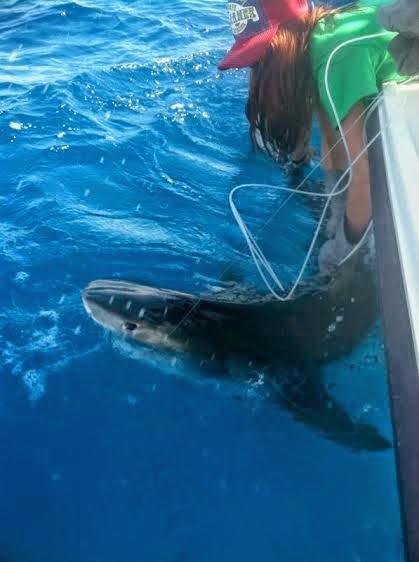 Although the vessel denied that it was illegally catching sharks, the violations that led to the fine were reported by an on-board fisheries observer. 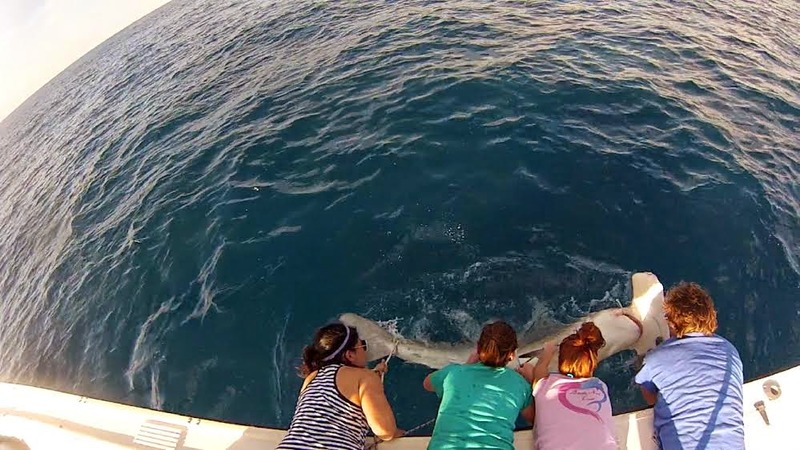 "When the shark laws are enforced, it serves as a deterrent for future violations," said Angelo Villagomez, a shark expert with the Washington, DC-based Pew Foundation. "The Marshall Islands fines are particularly significant; these fines can be used to fund further enforcement efforts. 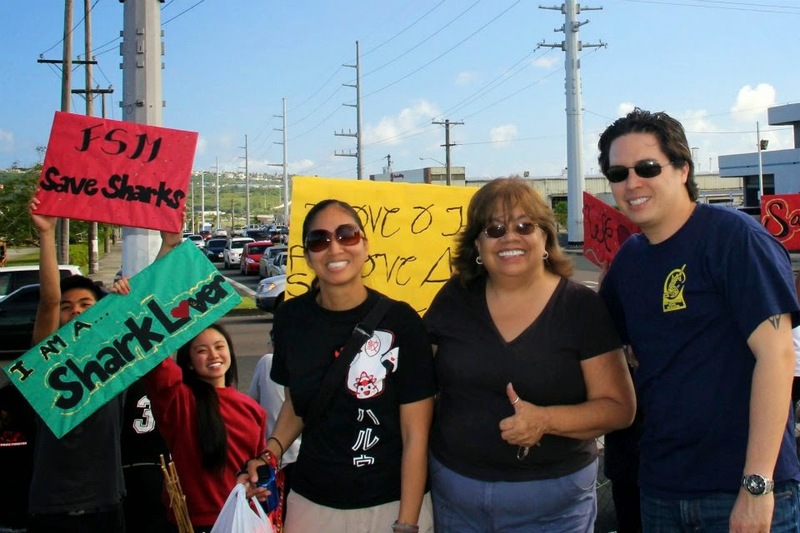 It also shows the world that port enforcement works, and that shark sanctuaries work." The vessel was reported both catching silky sharks and doing a tuna set on a whale shark, which is prohibited by RMI law. The huge size of whale sharks attracts tuna, making them a target for tuna boats. "Whale sharks swimming on the surface act as a living fish aggregation device, or FAD," said Villagomez. 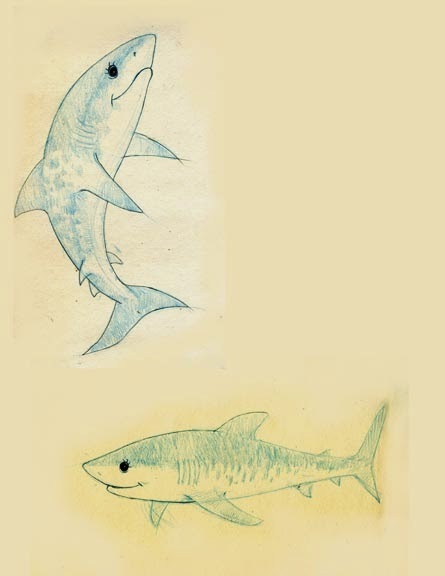 "There will often be schools of tuna swimming below the big shark. Whale sharks are assessed as 'vulnerable' by the International Union for Conservation of Nature Red List of Endangered Species." Silky sharks have been singled out for protection because of heavy fishing. 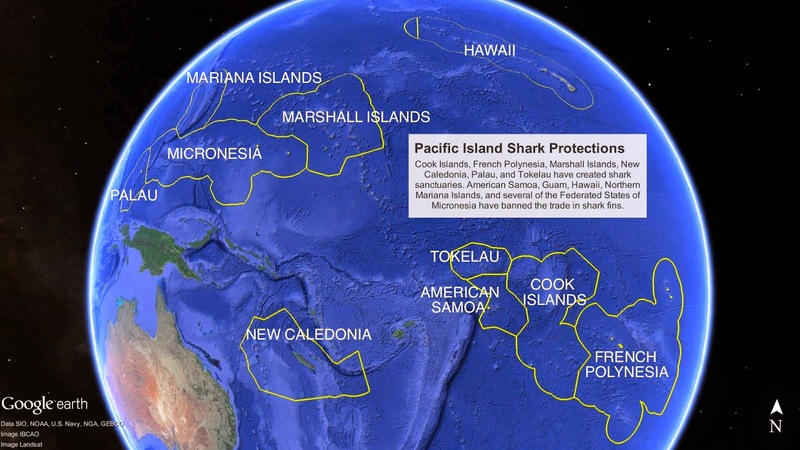 "Silky sharks are a major secondary catch in the western and central Pacific, but they have been fished so heavily the Secretariat of the Pacific Community (SPC) says they are overfished and that overfishing is still occurring," said Vilagomez. Because of concern of overfishing, silky sharks were recently placed on a protected list by the Western and Central Pacific Fisheries Commission, and fishing vessels are supposed to return them to the ocean alive if they are caught. "It is worrisome if this measure is not being followed by industry, but it is encouraging that enforcement is catching the violations," said Villagomez. "If industry doesn't implement the already agreed to protections, they can expect more stringent, global protections down the road." 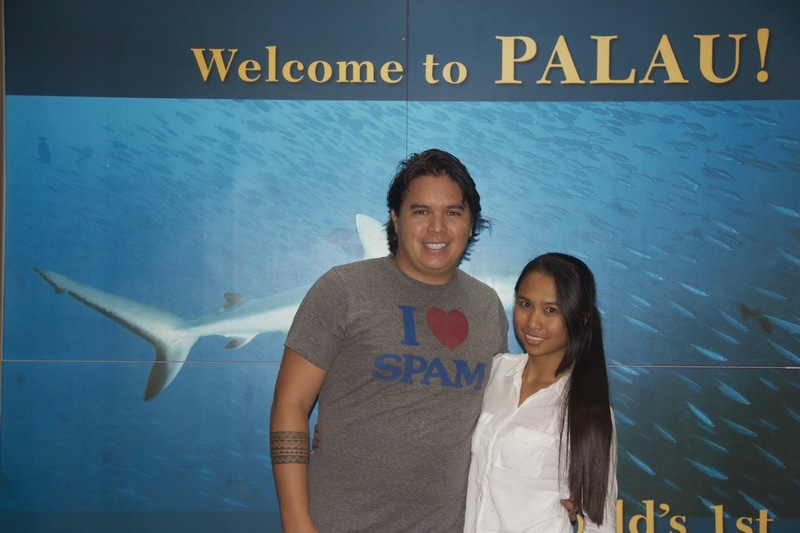 Villagomez praised RMI for its vigilance in enforcing its shark sanctuary. "The Marshall Islands continues to be the model shark sanctuary in terms of its legal framework and enforcement," he said. 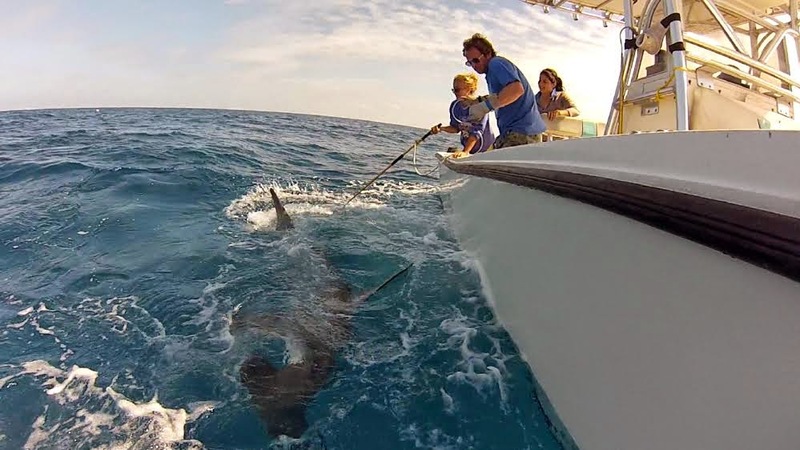 "They are a global leader on the issue of shark conservation, and I hope that other countries continue to follow their lead." The Marshall Islands fined several vessels in 2012 and 2013. 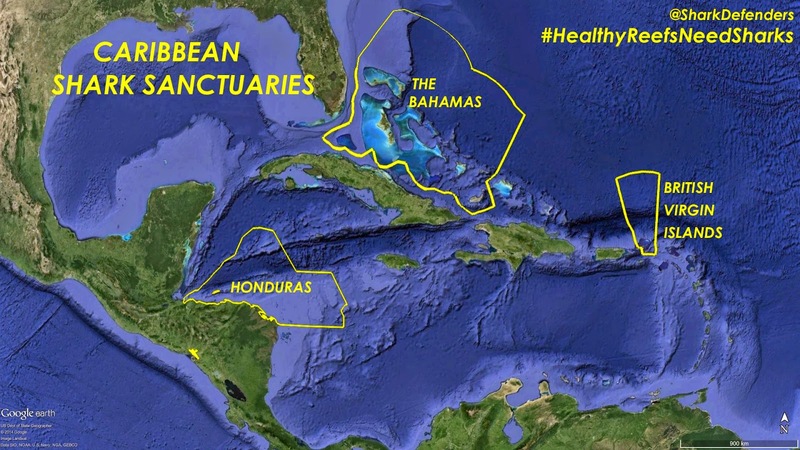 The shark sanctuary was declared in October 2011. "A US fishing vessel has paid a $125,000 fine to the Marshall Islands Marine Resources Authority (MIMRA) to settle alleged fishing violations it was cited for June this year. According to MIMRA legal advisor Tion Nabau, the Sea Bounty was repeatedly spotted in Majuro lagoon using a towboat to set its long net and catch fish including silky sharks. Nabau said that upon interviewing witnesses and the observer on the incidents, more violations by the vessel were revealed including a June 5 incident whereby a whale shark was caught within RMI waters." 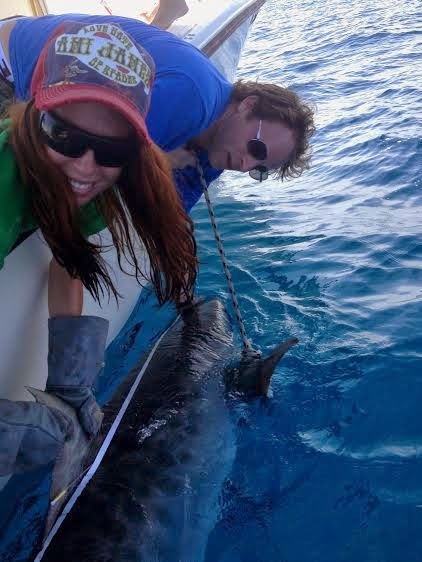 Setting nets on whale sharks was outlawed at the WCPFC meeting in Manila in December 2012. The sharks, which are assessed as Vulnerable by the IUCN Red List of Endangered Species, are often stressed and die during the ordeal. 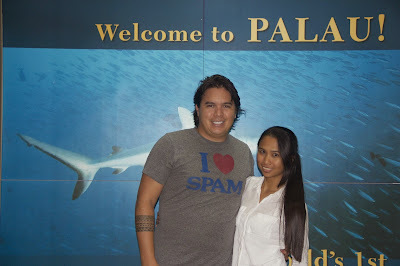 The Marshall Islands continues to be the model shark sanctuary in terms of its legal framework and enforcement. They are a global leader on the issue of shark conservation, and other countries should follow their lead.